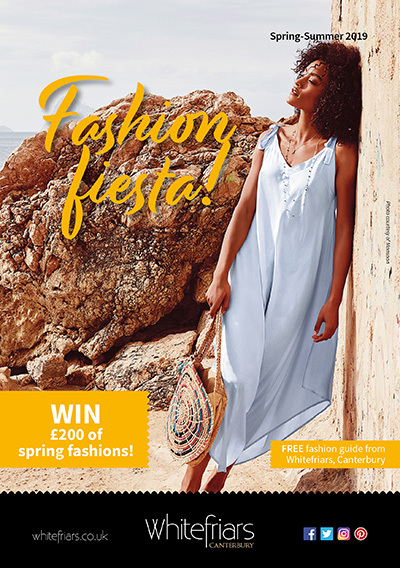 To celebrate the launch of our retailers’ spring/summer ranges, we’re giving away £200 to one lucky customer to spend in a Whitefriars store of their choice! Download a FREE copy of our spring/summer fashion guide! Simply answer the simple question below and complete your contact details. By entering, you agree for your name and email to be added to our email database to receive regular news, information and offers from Whitefriars. You can unsubscribe at any time and we do not sell your details to third parties. Closing date: Sunday, 30 June 2019. No purchase necessary. Prize is as stated. There is no cash or product alternative. Entrants must be aged 18 or over, resident in the UK. Not open to employees and their immediate families of Whitefriars management and their contractors. The winning entry will be drawn at random from all qualifying entries received by the closing date of 30 June 2019. The judges' decision is final and no correspondence can be entered into. By entering, you agree for your name and email to be added to our email database to receive regular news, information and offers from Whitefriars. You can unsubscribe at any time and we do not sell your details to third parties.